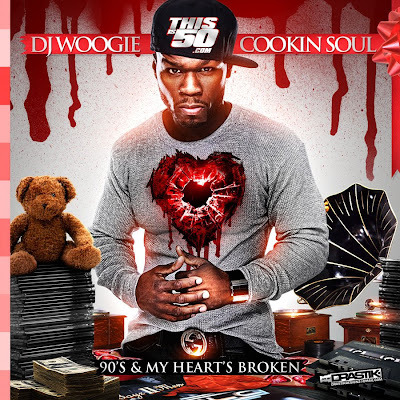 DJ Woogie and Cookin Soul put out 90’s & My Heart’s Broken yesterday. It features 50 cent mashed up with some memorable 90’s songs. It’s done well and I like the idea of using 90’s tracks but I would have rather heard a mix of emcees instead of all 50 Cent. And they definitely could have come up with better titles. All mash ups need clever names. But oh well, here are a few stand out tracks.